Enlightenment Productions | Breaking the Mould! 15 Sep Breaking the Mould! 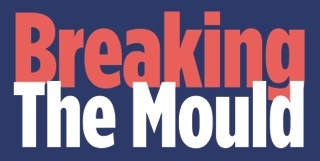 We’re thrilled to announce that Enlightenment Productions have been shortlisted for the Small Business Category of the Breaking the Mould Awards 2014. The Awards celebrate forward-looking companies which have schemes in place to ensure that women are well represented in their boardrooms. The Awards take place on 4th November at The Institute of Directors, Pall Mall, London and we’ll let you know how we do!